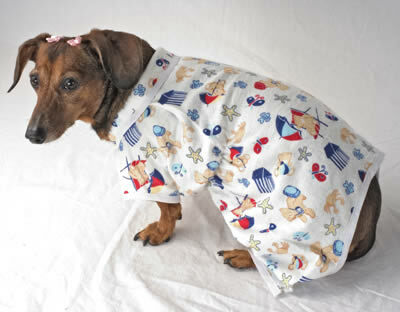 Jessicas Original® dog pajamas has a low neckline which is more comfortable. It fastens with velcro® on underside easy on and off. Jessicas Original® dog pajamas is made of 65% polyester / 35% cotton so they won't shrink. They are 100% machine washable.